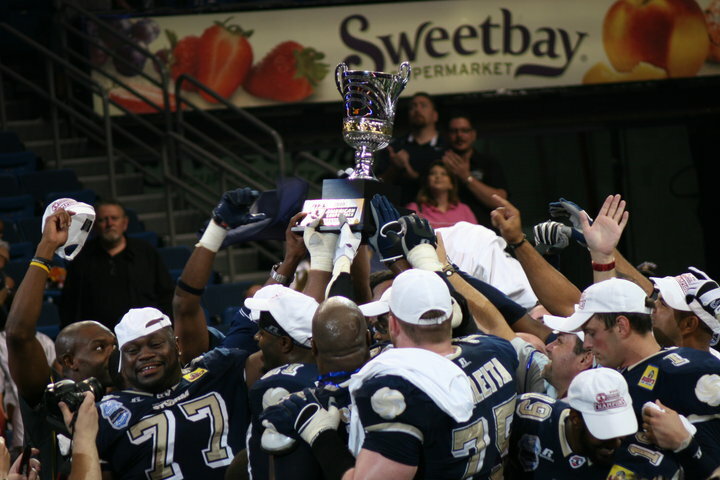 The Tampa Bay Storm won the American Conference Championship Game 63-62 over the Predators and will take on the Spokane Shock in Arena Bowl XXIII in New Orleans, Louisiana. The Storm led 35-21 at halftime and traded scores down the stretch with the Orlando Predators. QB Brett Dietz threw for 260 yards and 7 touchdowns. At the end of the game, afraid of the Predators responding one more time and running out the clock, the Storm performed an onsides kick and their own Michael Hawthorne recovered so they could burn out the clock. The Predators got the ball back but kicker Carlos Martinez missed a 49 yard field goal with 2 seconds on the clock. You can watch a re-air of the game on Demand with Nifty TV. Arena Bowl XXIII airs this Friday night on NFL Network at 8PM ET. 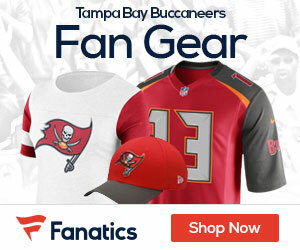 Florida State alum Drew Weatherford is Tampa Bay’s back-up QB. whoah this weblog is great i really like reading your articles. Keep up the great work! You know, a lot of people are searching round for this info, you can help them greatly.